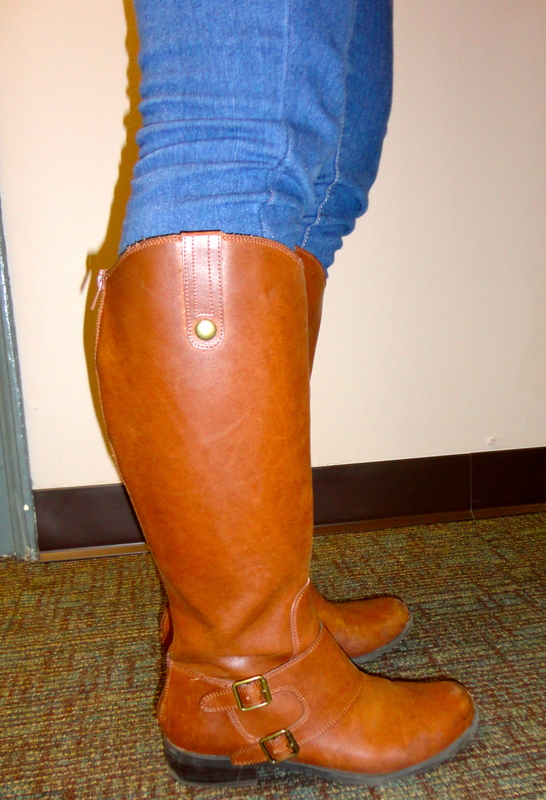 Megan Stout, freshman at LU, sports her Target riding boots with a pair of skinny jeans. modeled after. The typical horse riding boot turned fashionable by designers a couple years ago but recently have been a huge hit all around the South and even nationwide. The trend is great because they can be worn for a very low price or they can be made of nice leather from prestigious designers. Up and down the price scale, these boots are fashionable and timeless no matter what. 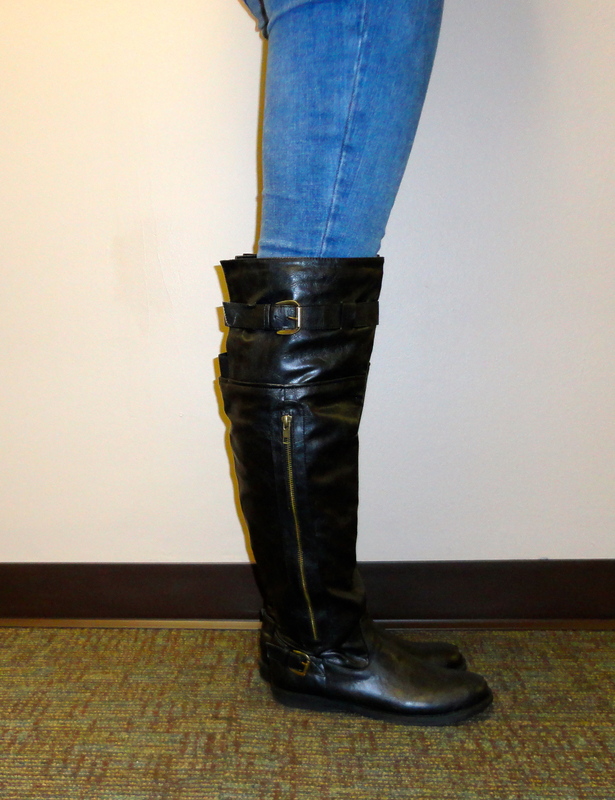 Some great places to snag some inexpensive riding boots are Target, Payless, and Kohl’s, to name a few. However, if you are fortunate (or not a college student on a budget), you could check out designers such as Tory Burch or the Frye Company for some real quality leather. Whether your style is preppy or edgy, these boots come in all colors and styles to fit your personality. I strongly suggest investing in a pair because they can be worn year round, dressed up or dressed down! My very own Steve Madden boots from DSW. I personally agree with this post 100%! I got dark brown riding boots for Christmas and wear them all the time! They are so comfortable, and I found mine for a great price at a store called Versona! I want to get them in a black and light brown color soon! I see girls wearing boots all over the place. Thanks to this post I now know why. I like the riding boots. With the ‘hipster’ fad it’s nice to see people sticking with the country look. Your post was simple and to the point which makes it easy and enjoyable to read, and I’m sure you will have many more interesting post as this goes along. This is interesting. I didn’t know very much about these boots other than the fact that many girls wear them. Being a guy, I don’t know much about any of this.